« HOW GREEN ARE YOU? 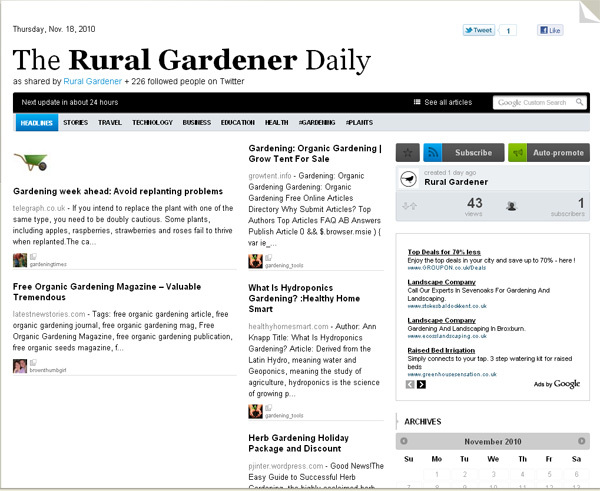 From today we will be publishing The Rural Gardener Daily. It basically takes our tweets and blog posts and tweets from anyone following us (other gardeners) and arranges them in a familiar newspaper style layout, along with vid casts and pod casts. My son introduced me to it and I’m really excited about our first edition which is alredy stacked with great gardening nuggets! 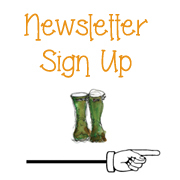 The other brilliant thing is, you don’t have to be into Twitter to access The Rural Gardener Daily, you can simply go to http://paper.li/ruralgardener/rural-gardener and see it for yourself, for free! The great thing about it for me is it also includes loads of other gardening and plant information I can share with you, and it’s all accessible in one place.